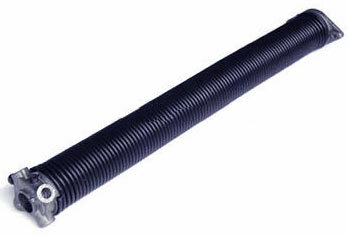 IMPORTANT TIP: Always replace garage door springs as a set! This may not be obvious to a novice, but it makes sense. If one spring has broken, can the other spring's demise be far behind? Add that little bit of common sense to the fact that the strength of a spring decreases with time and use. The use of a new spring with an old spring can cause an imbalance in the door that cannot be corrected for through adjustment. 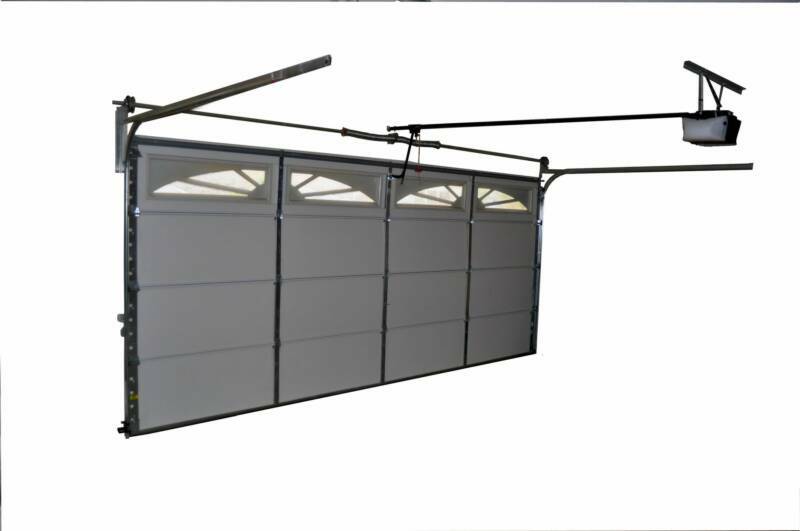 Torsion springs are mounted on a stationary metal shaft located above and parallel to the top of the garage door frame. They are attached on one end to a stationary plate located above the center of the door frame. 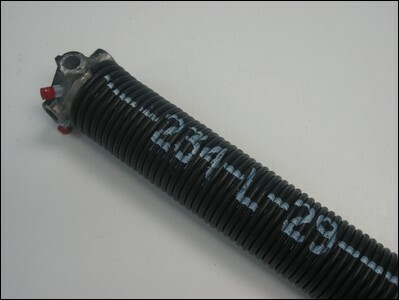 The springs extend along the shaft, and work by twisting as the garage door closes by means of cables attached to each side of the lowest garage door panel. This tension makes it easier to lift the garage door from its closed position.